The new Labour-led Government is little over 24 hours old and already has a potential conflict brewing between its two minor party partners over the reintroduction of a Work for the Dole scheme. As I predicted on Tuesday, there are a number of areas where NZ First and the Green Party differ significantly on policy, and I identified the re-introduction of a Work for the Dole scheme as one of those areas. I have to admit, that I'm a little surprised that a potential flash point has been created so early. While Labour and the Green Party might agree on creating job opportunities for those on a benefit to participate in cleaning up waterways, the Green Party approach is to create the opportunity and allow people to take it if they're willing and able to, not to force them to participate. NZ First's approach is taken straight out of the play book from the Fourth National Government, where those on benefits were threatened with having their benefits reduced, or cut entirely, if they didn't participate in the euphemistically named "Community Wage" scheme as Work for the Dole was known as. 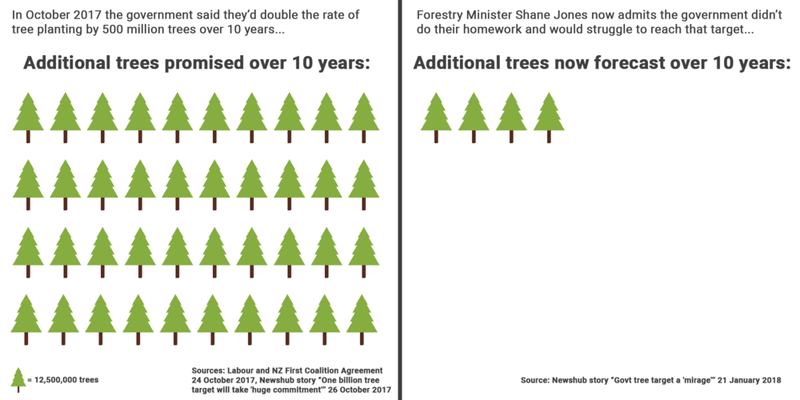 Given Shane Jones says he's been "encouraged" to look at a Work for the Dole scheme, I have to wonder if NZ First isn't trying to draw a line in the sand early on with the Green Party. It could be likely that they're testing the waters, trying to put the Green Party in what NZ First sees as their place as the most junior partner in the arrangement, and seeing how much they'll bend on this issue. NZ First backs down on creating a Work for the Dole scheme for the Regional Economic Development Fund, which given it's been their policy for almost as long as they've been a party would be an embarrassing start to their time in government. The Green Party either backs down or keeps very silent on the issue, effectively abandoning one of their policies and no doubt annoying their supporters given their very strong stance on social development issues in recent months. A very uncomfortable compromise is reached where the environmentally orientated, and entirely optional, work scheme that Labour and the Green Party have envisaged is expanded to include projects delivered by the Regional Economic Development Fund. This result won't be entirely satisfactory to NZ First, as they've historically taken a very hard line on wanting non-participation to punished. Where National will have difficulties in exploiting this tension is that they've historically been supporters of Work for the Dole and its variants. Not that support for a prior policy position has been an obstacle for political parties in the past, such as Labour displayed over its opposition to the Trans-Pacific Partnership and other recent free trade agreements. Greyquake, Superquake, Pensionquake, none of those names are as catchy as Youthquake, but unless there's a dramatic turnaround in voting behaviour by younger voters, this election is set to be dominated by those with, at the very least, a sprinkling of salt and pepper in their hair. You can see in the above graph the difference between 2014's turnout and my projections for 2017's turnout. Assuming all things remain the same from the Electoral Commissions 12 September update of enrolment data, there's going to be a noticeable shift from the youngest half of voters to the oldest half of around 4.69 points. That might not seem like much in the scheme of things, but in an MMP environment it's a massive shift. The difference between whether a party can feasibly form a government could be decided by as little as half a percent, so to have a shift of several times that towards an older demographic in the pool of electors will undoubtedly make a different. As I wrote earlier today, the way that enrolments are tracking suggests that for all the efforts to encourage younger voters to participate in the election, nothing is changing. What is happening those is as New Zealand's population ages, the demographic of those enrolled to vote is sharply changing in favour of those aged 55 and over. The top half of enrolled voters goes down to around the 53 mark by my maths so you could stretch it a little further if you liked. 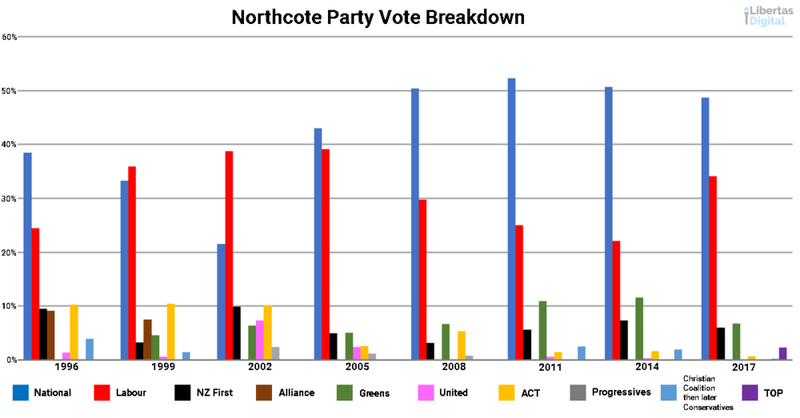 It's also why I suspect NZ First have historically done better on election day than they have in the polls. As far as I'm aware (and please correct me if I'm wrong!) both Colmar Brunton and Reid Research both weight their poll samples to reflect the general population. However the general population, or even the number of eligible voters isn't necessarily the best way to weight your polls. Instead your polls should be weighted to reflect the voter turnout rates from the previous election (or even averaged off the past two or three just to hedge your bets a little). With older voters making up a far larger block of actual voters, their voices suddenly matter a whole lot more come election time than they do in the general population. The above graph illustrates this change even better. You can see the massive shift away from youth voters towards those aged 55 and over (though as a mentioned earlier I suspect the tipping point may be around 53 or so). These are voters who probably own houses, probably still have mortgages they're paying off, their kids have probably left home or are about to, and they're planning for retirement. What does this mean come Election Day? 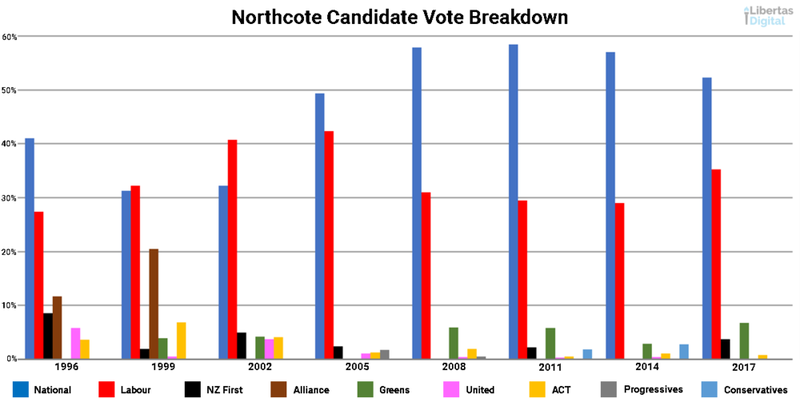 Assuming that voter turnout is similar to 2014 and enrolment rates don't change markedly, it means that NZ First is going to continue on its trend of performing better in the ballot than they do in polls, and a similar effect might help National as they've been focused on eating up some of NZ First's lunch too, especially in regional New Zealand. It'll be interesting to compare these projects with the actual statistics from the election once they're released.